Robust and kindly, and sporting a bearish, wooly coat not unlike the flocks they devotedly guarded, the Old English Sheepdog once upon a time ruled the rolling hills and pastures of Great Britain. Rising to prominence in the late 1800s, thought to be a blend of Bearded Collie with a dash of Russian Owtchar, they performed as “drovers,” a working dog that moved herds long distances. It was a time when both cattle and sheep were larger and slower and the territory vast. The Old English Sheepdog was a jack-of-all trades, often a jovial mud-roller weighing in at 100 pounds, owning a bark likened to two pans being clanked together. Along the way they were given the nickname Bobtail, because their owners docked their tails to mark them as working animals to avoid a luxury tax imposed for owning pets. Loving and loyal, stubborn and fearless, they were a herdsmen’s dog, the farmer’s servant in the fields. That is until the American Industrialists, pockets filled with money, traveled to Great Britain for business and leisure and beheld the very furry beasts. Pittsburgh industrialist William Wade was the first to bring the OES, as they’re known among enthusiasts, to the United States. By the early 1900s, five of the 10 wealthiest American families — the Morgans, Vanderbilts, Goulds, Harrisons and Guggenheims, all owned, bred and exhibited the dogs at New York’s 1905 Westminster show. They became wrist candy for breeders editing traits for the show ring. The new “improved” OES had a fluffier coat and more of a pet’s temperament. With each tweak, so faded the traits that once made them masters of the field. Farming, too, began to change. Herds and farms became larger and the animals smaller. Drovers were replaced by vans and trucks. The highly intelligent and workaholic Border Collie and the nipping, whirling Corgi and Australian Kelpie took over. They were all low-maintenance breeds better suited to the task. The OES, never intimidated by well-horned sheep nor wolves, fell prey to commercialism and breeding that suited the ring. By the early ’70s there were more than 17,000 OES’s registered with the American Kennel Club in the U.S. A decade later, their numbers dwindled by 10,000. Today there are less than 1,000. In both the U.S. and England, the OES is now an endangered breed that faces extinction and breed advocates are working to rekindle the love affair for the amiable, kind and intelligent puff of a dog. In both the U.S. and England, the Old English Sheepdog is now an endangered breed that faces extinction and breed advocates are working to rekindle the love affair for the amiable, kind and intelligent puff of a dog. 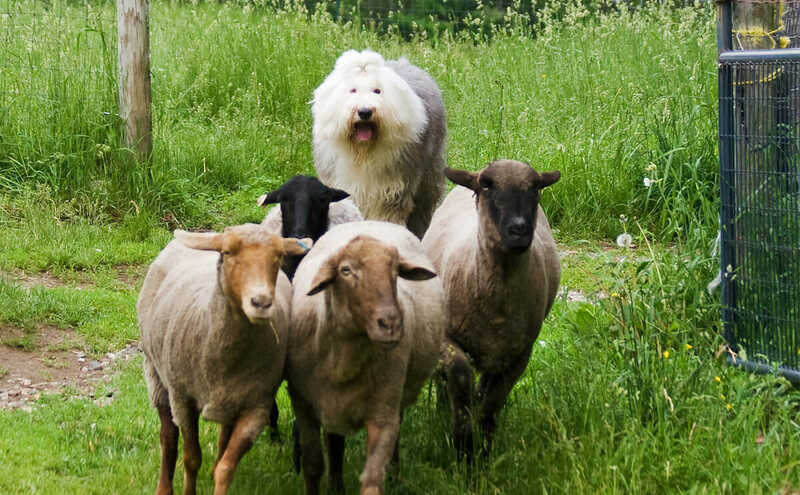 Some advocates promote the OES not only as a family pet but as a wonderful herding dog for smaller flocks of sheep, goats, ducks and geese. Others sing the praises of their abundant coats, which are actually wool, not fur, for creating beautiful, water-repellent woolen yarns. Many OES owners salvage what comes out in brushing, turning it over to a local spinner. Doug Johnson, president of the Old English Sheepdog Club of America, when reached by Modern Farmer, happens to be bundled on this day in an OES wool scarf and hat due to heavy snow in Colorado. 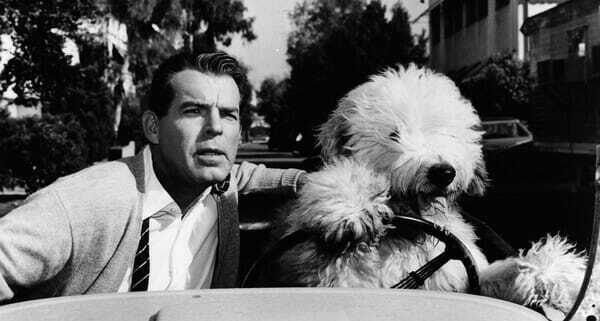 He laments his favorite dog is a dying breed. Johnson also believes that it should be mandatory that any OES that is shown should first have to have to been trained in herding. 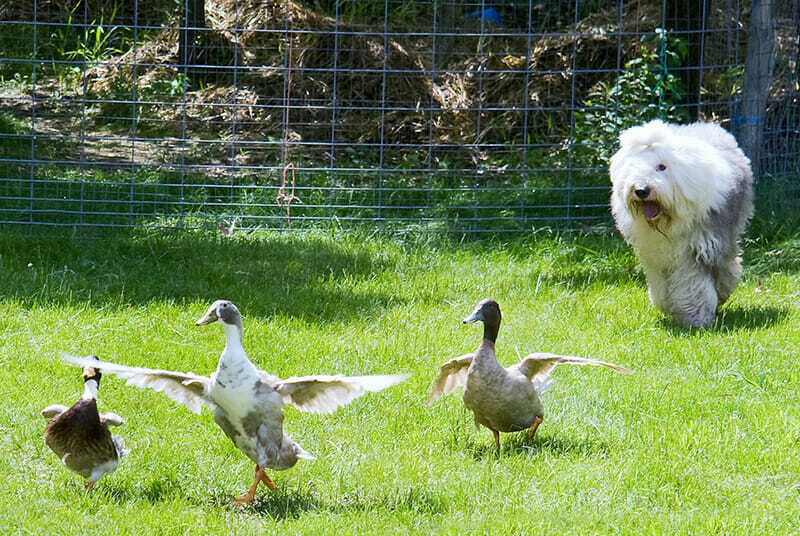 It doesn’t mean that enthusiasts believe that the OES could return as a dominant farm dog. 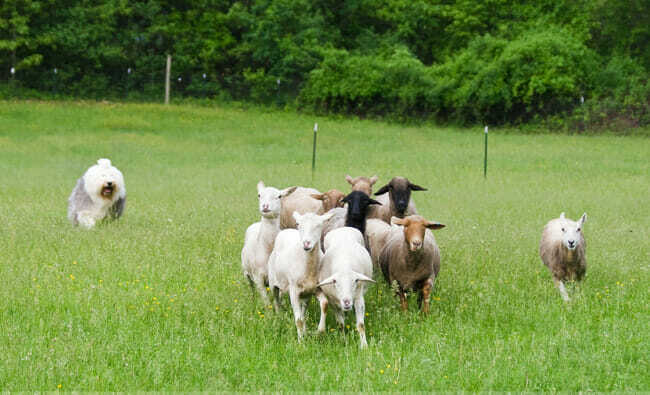 Their impractical coat, capable of growing up to nine inches long, and sweet temperament are better suited as a family pet, but their herding abilities should be honored and the trait often remains, Loland says. 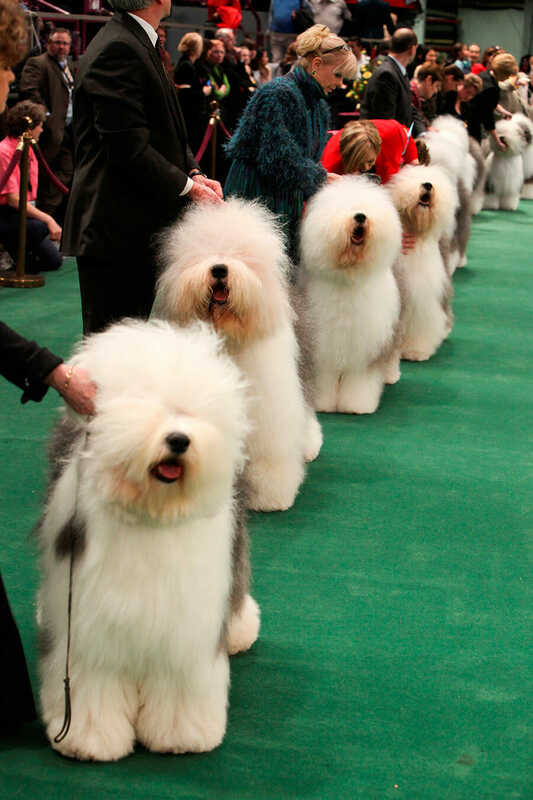 Even at trials, when an Old English Sheepdog walks into an arena, “the sheep take notice,” Loland says. But there are some who are rooting for a grand revival. Judy Asarkof, a sheep and goat farmer in Carlisle, Massachusettes is one of a handful of small farmers who choose to work with OES. Before she had livestock, she had Mick, a now 10-year-old OES she acquired as a pet. On a lark, when Mick was three, she took him to a local trainer for herding assessment to see if he had any natural instincts. Overjoyed with the tasks, he sailed through. Asarkof was inspired to rent some farmland and purchase a few sheep for Mick to herd. It was a case of the farm dog coming before the farm. 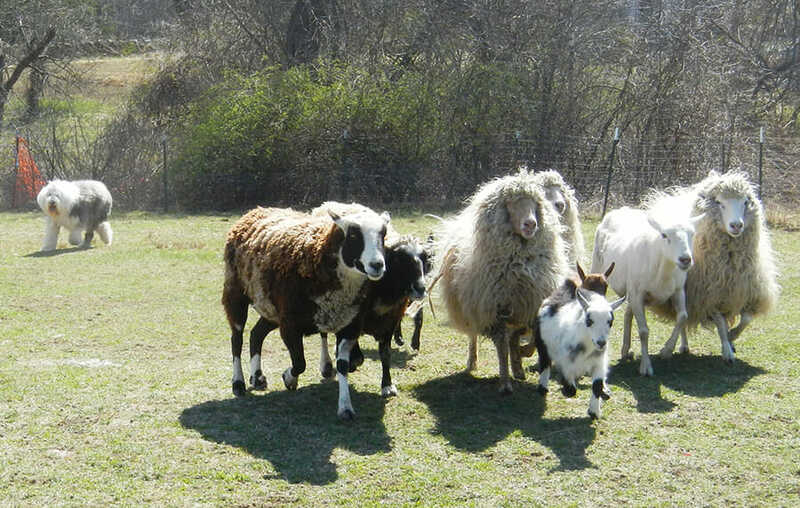 Today the 9-acre Sunflower Sheep Farm has 24 sheep raised for their wool, 10 Nigerian Dwarf Goats and some ducks who are all herded by Mick and Pele, a 4-year-old OES from Germany. Mick, though not a show dog, holds many major herding titles. “The thing I love the most about herding is the connection with my dog, the sheep and the land as we do our chores,” Asarkof says. 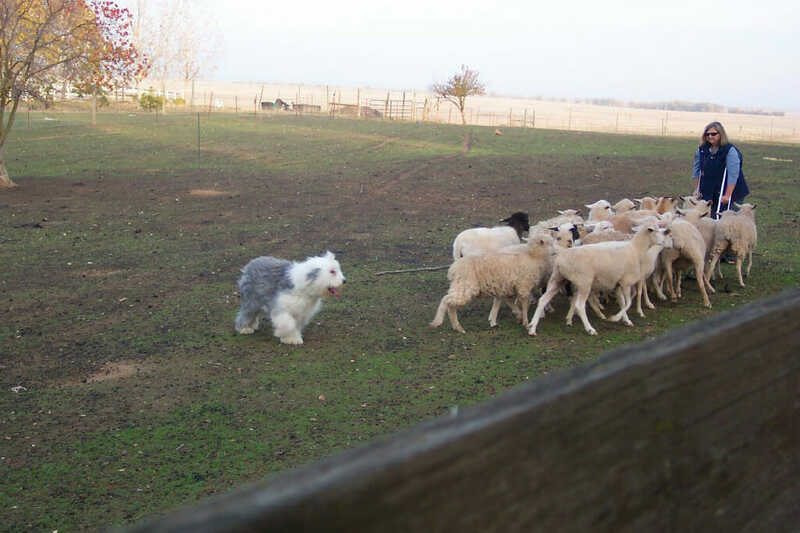 Debra Lehr's sheepdog Bea herding. 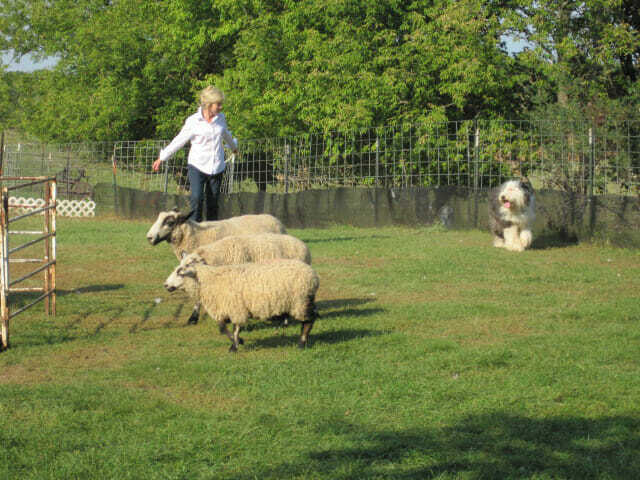 Maureen Clark of Houlton, Wisconsin has an OES bred by Lehr that she trains for herding. Although Clark isn’t a farmer, she’s what enthusiasts refer to as a hobbyist. 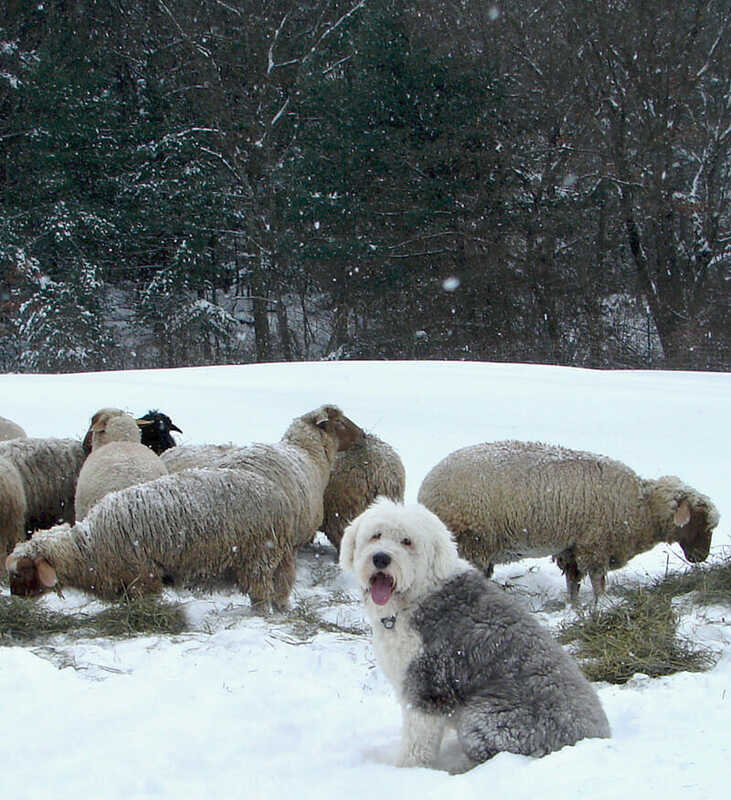 Clark brings her herding dogs to farms where training takes place and where they get to work with herds. Maureen Clark's sheepdog Louie in training. Overall, the role of working dogs in the U.S. is on the decline, according to the AKA, especially farm dogs, the taskmasters who rode the ridges, hills and valleys to move livestock. There are fewer sheep farmers. And the future seems uncertain for the OES, even as a family pet, as their numbers dwindle. But breed enthusiasts, including farmers who delighted in seeing their dogs command flocks of sheep and herds of goats, hope that the breed will rise again. Lori Rotenberk is a Chicago-based journalist whose work has appeared in national publications including the New York Times, The Boston Globe,Chicago Wilderness Magazine, Grist and the Chicago Sun-Times. Follow her on Twitter.